Many of us don’t think about the quality of sleep we are getting at night. In fact, counting the total number of hours you sleep does not guarantee it was a quality, restful slumber. The National Sleep Foundation recommends 7-9 hours of sleep each night for an adult 26-64 years old. Job and family commitments, stress and a lack of time are major factors affecting sleep quality. Couple that with bedtime habits that are not ideal for restful sleep (i.e., watching TV in bed), and you’re left exhausted. The Good News: Interior Designer Amy Contreras, owner of Amethyst Interiors, has tips for how to create a restful bedroom design which can help you to unwind and stay asleep. Amy’s tips for Restful Bedroom Design were featured nationally in a video produced by Angie’s List and published by the Huffington Post. Portions of the segment were filmed throughout the IDC showrooms. Watch below. 1. Install black-out shades or room darkening drapes. The bedroom should be kept very dark at night. 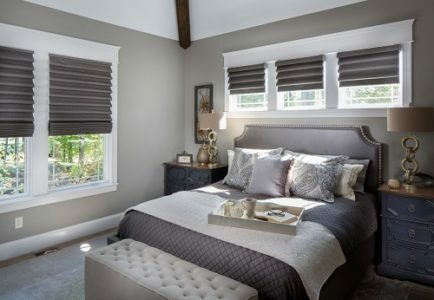 Depending on your current design and window placement in your room, the experts at Drapery Street, suite 109, can help you find the right type of shade for your bedroom. Light filtering window treatments by Hunter Douglas from Drapery Street. Room design by Wendy Langston. 2. Invest in comfortable bedding. Your mattress is integral to achieving good rest. Sheets, comforters and blankets also play a vital role in a good night’s sleep. Choose natural, breathable fibers such as cotton and avoid synthetics such as polyester. 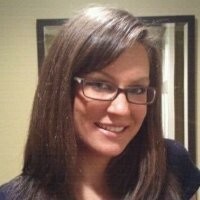 Contreras recommends sheets with a high thread count for a smooth feel. Also consider an upholstered headboard that adds to the overall softness of the bedroom. Check out the selection of beautiful upholstered headboards, comfortable quality mattresses and bedding options available at Holder Mattress, suite 119. This beautiful upholstered headboard easily lends to itself to a wide range of design preferences. Available at Holder Mattress. Decorate your bedroom with serene artwork (i.e., nature-inspired prints) and a soothing wall color to create a peaceful bedroom. Contreras recommends the addition of scented candles to help you relax. Flowers or realistic greenery can also freshen the feel of the room. Many of these natural and organic inspired accessories, candles and greenery can be found at H Curated, located in suite 120B of the IDC. H Curated’s aesthetic exudes a calmness that encourages relaxation. 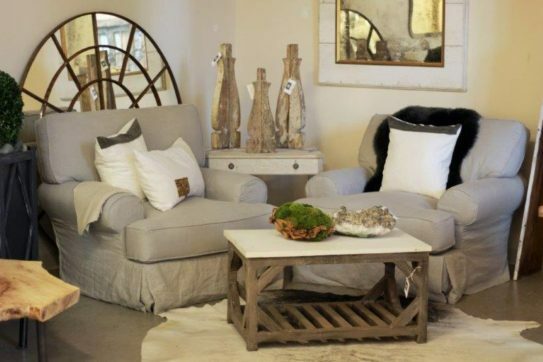 H Curated’s neutral tones, weathered accessories and greenery create a tranquil feel. Inspired to make simple changes to enhance the quality of your sleep? 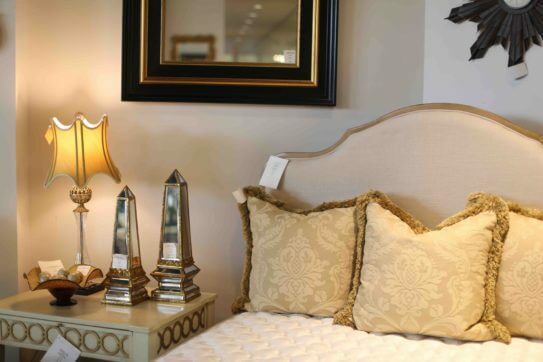 Stop by the showrooms at the Indiana Design Center to incorporate these design elements into your bedroom and contact Amy Contreras for professional guidance.